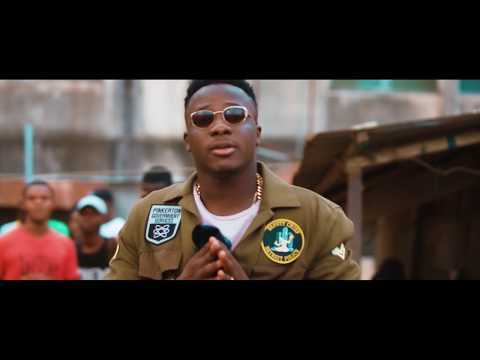 Chocolate City‘s Afro Pop sensation, Koker sets the weekend in motion with a party-screamer he titles “Okay.” As produced by Minz, Koker experiments between various tempo, tilting more towards the hard-hitting side of the groove. On “Okay,” Koker acknowledges the current financial challenges facing the Nigerian nation, but still encourages and hopes all those around him will be just fine and okay. However, he looks to have taken off the worries and weight as he makes this one a feel-good and wavy kinda banger that will get you to ditch your worries in a jiffy for the dance floors. In fact, we believe this tune will slide seamlessly into owambe celebrations as it packs the happy pills along with it. Well, Koker whose real name is Olayiwola Olabanji Kokumo is known for such grind. His 2016 masterclass, “Kolewerk”, became the mainstay of the circuit for several weeks and months; even becoming a national slang in the process. Now, he has taken that roll a notch further with “Okay” and it packs the ingredients for another epic. Do you think Koker holds the joker for yet another hit song?